The third and final wave of closed beta invitees have had their keys sent to them and with that, Gaijin Entertainment has officially moved the Ground Forces expansion for War Thunder one step closer to open beta. Gaijin kicked off the closed beta in early December with only a small handful of tanks to choose from. However, closed beta players will find they now have access to the complete lineup of tanks available on day one of the Ground Forces Open Beta. 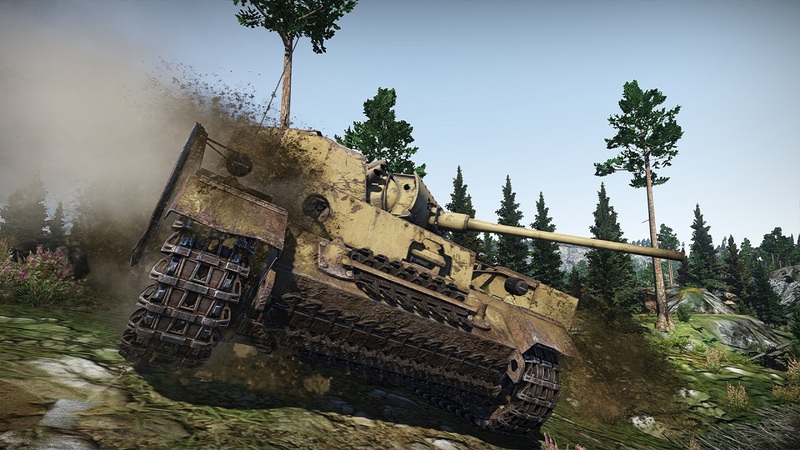 The third wave of closed beta testing is open to all previous testers as well as those who opted to purchase one of Gaijin’s tank packs after January 10th, 2014. The open beta has yet to receive an official release date, but Gaijin has stated it will launch sometime in early 2014, around the same time the PS4 version of War Thunder will also launch. Ground Forces isn’t the only part of War Thunder receiving attention however. Gaijin is preparing to roll out update 1.39 which provides room for greater customization including the ability to create your own content. The update also goes about making adjustments to overheating, tweaks many facets of the interface, and makes long awaited improvements to many of the planes flight models including most jets. Adjustments to mouse controls should also make handling planes more predictable and realistic. Finally, new aircraft from the Korean War era are set to take to the skies just in time to participate in the all new squadron vs. squadron battles. Gaijin has gone into greater depth concerning update 1.39 which you can learn about on their respective dev blog here . Are you excited for the upcoming changes and the addition of Ground Forces?